Growing older brings many life adjustments, some easier to accept than others, but one priority that remains for most seniors in this country is the ability to manage and control their finances. Losing the power to determine when and how one’s money will be spent is a significant blow to a person’s independence, and avoiding this situation to the fullest extent possible is a pivotal issue for many of Florida’s seniors. However, an ongoing and alarming issue that is hurting seniors nationally is the prevalence of financial exploitation of the elderly. An estate plan can be structured to account for this risk, and minimize the ability of a caretaker, stranger or even a family member from taking advantage of a senior experiencing physical or mental impairments that hinder his/her ability to competently handle necessary affairs. A 92-year-old Pompano Beach woman recently lost nearly $300,000 to a financial planner who took the money out of her account under the guise of making loans to his sister. The financial planner is currently facing a number of criminal charges, including elderly exploitation. A discussion of signs to look for that may indicate financial exploitation is a potential concern, as well as ways to structure a trust to guard against this risk, follows. a caregiver overly interested or involved in the elder’s finances. 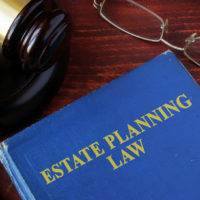 As noted above, most people want to retain control of their money for as long as possible, and for purposes of estate planning, this usually means setting up a revocable trust that permits the settlor (creator) to also serve as the trustee, and to modify, revoke or withdraw assets at his/her discretion. One option to reduce the ability of someone who could deplete a senior’s finances is to require consent from a co-trustee or third party before modifications or revocations can occur. However, this does take a lot of authority away from the senior, and may not provide the flexibility the senior desires. Another more fluid option is to leave the trust in the control of the settlor, but suspend the exercise of this authority if certain events or conditions arise, specifically, mental diminishment or incapacity. The provisions of the trust can dictate when this suspension of trustee powers would go into effect, and can lean toward the informal, such as a physician’s opinion on the senior’s faculties, all the way to a legal determination of incapacity by a court. An experienced elder law attorney can advise on the best option to serve the needs of a particular individual and his/her family. Protecting your financial security, and leaving a legacy for your family are important and reasonable goals that an experienced elder law attorney can help you achieve. William Rambaum, P.A. helps Florida seniors everyday address their estate planning and asset protection needs, so they can focus on enjoying their later years. If you have questions or concerns about securing your estate for future generations, contact the Oldsmar law firm today to schedule an appointment.